Ants in a Tree?? Say what? I saw a picture of a bowl of yummy rice noodles on Pinterest the other day and the caption under it said "Ants in a Tree". I was intrigued! Why oh why was such a yummy looking bowl of comfort called Ants in a Tree?? Well it turns out that in Chinese culture it is thought that the bits of ground meat represent the ants and the rice noodles represent the tree branches. 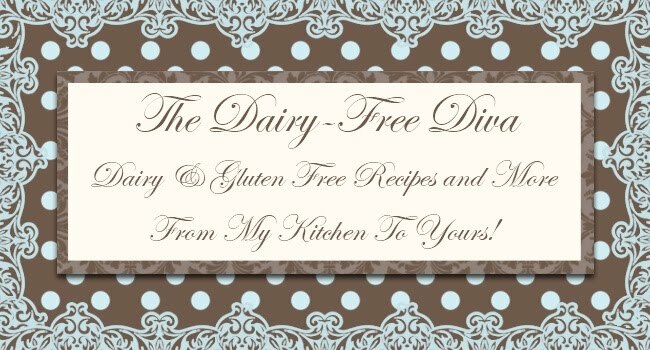 I loosely adapted the Food Network version of Ants in a Tree to make my dairy and gluten version with what I had available at home. 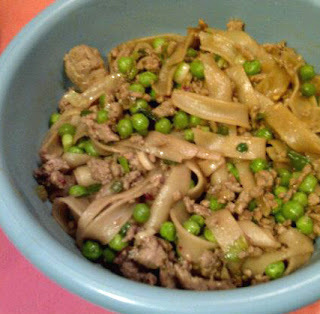 The result is a pure bowl of comfort in the form of rice noodles, ground pork, and peas seasoned with soy sauce, ginger, garlic, and chili garlic sauce. So simple to throw together in about as long as it takes for your rice noodles to soften. Cook or soften the rice noodles according to the package directions. Feel free to use any width of rice noodles you like. Meanwhile, in a large skillet brown the ground pork. In a small bowl, combine the soy sauce, ginger, garlic, chili garlic sauce, and 5 spice powder. Once the pork is nicely browned and cooked through, add the sauce along with the peas. Continue to cook, over medium heat, until the peas are heated through. If the pan begins to get too dry add some water. Add the prepared rice noodles to the pan and toss well to evenly coat the noodles. Again if the pan seems too dry add a small amount of water. However, you are not looking to make a sauce just keep it moist enough for the noodles to be coated. Once the rice noodles are heated through, remove from the heat and add the sliced scallions. A lovely & appetizing meal but what a strange name for it! hahahahha! I love the flavours in here! Yum! I wish you & your family a Happy Thanksgiving! Well I think we just might have some ants for dinner. Enjoy :) Also feel free to add any other vegetables you like!